Microsoft will release the Windows 10 Anniversary Update on August 2, the first major update to Microsoft’s already excellent operating system. 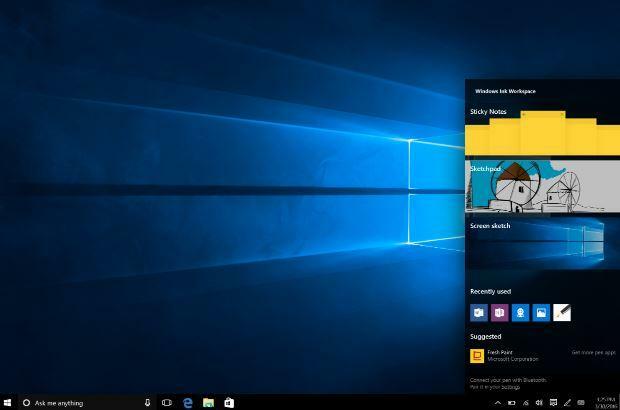 The update will be free to Windows 10 users, hopefully you’ve upgraded to Windows 10 before Microsoft’s July 29 cutoff, after which users will need to pay for the operating system. We’ve been testing the Windows 10 Anniversary Update for about a week now, and we’re here to report back on some of our findings. Microsoft put a huge focus on increase touch input in the Windows 10 Anniversary Update. If you have a computer with a touchscreen or, even better, one with a pen (like the Microsoft Surface Pro 4), you’ll really like some of the additions inside Windows Ink. Windows Ink is basically an entire new area inside the operating system where you can find and interact with touch-ready applications. A tap on the Surface Pen, for example, brings up a new screen with quick access to a sketchpad, Sticky Notes, screenwrite and more. If you don’t have a pen, you’ll see a new pen icon in the task bar that can also be clicked to open Windows Ink. Sticky Notes are super smart, and incredibly fun to use. If you jot down a phone number, it’ll recognize the number and create a link for placing calls through apps such as Skype., similar to what we’ve seen Samsung do with its S Pen Notes. If you write down a flight number, the Sticky Note will provide information on the flight, pulling in data from Bing. The same applies for other notes, a stock symbol will pull in data from Bing; a URL will populate an executable link. And I almost forgot: start making a list, and Sticky Notes will start to format it for you, even allowing you to shift the order of items. I was told the team behind Wunderlist built this function, but that there’s no current syncing support. I hope it’s added down the line. I tested these features on a Microsoft Surface Pro 4, and they worked well, but I can’t help but think they’ll be rather useless for anyone without a touchscreen display. I asked Microsoft if it’s going to require OEMs to add touch displays in the future. It won’t, but consumers will definitely want to buy a computer with a touchscreen and, preferably, a tool like a stylus, to take full advantage of Windows 10 Anniversary. Let’s take a look at some features that don’t require touch. Cortana is smarter in the Windows 10 Anniversary Update. 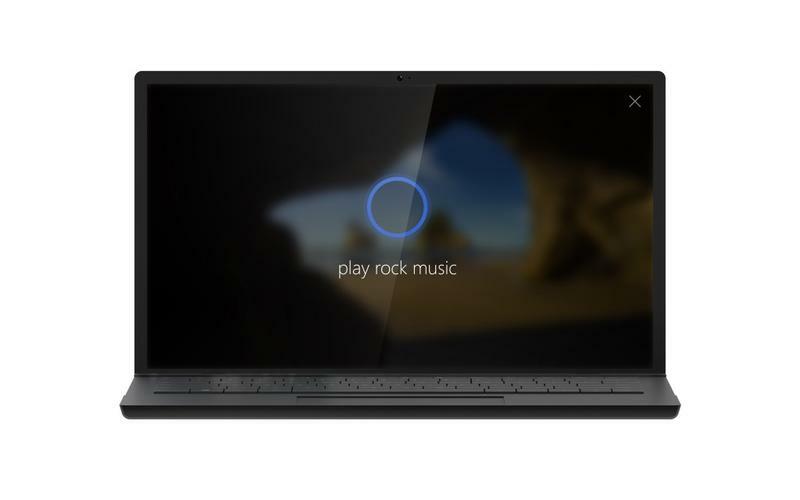 For one, you can access the AI assistant from the lock screen now, if you decide to enable it, calling upon Cortana to provide anything from weather updates to playing music from Pandora or Microsoft Groove Music. If you want, you can even enable access to your calendars and emails while the device is locked, but we imagine that’ll make IT security pros cringe. Cortana works well from the lockscreen, at least in my tests, though I’m looking forward to when she’s embedded in more applications, like Spotify. Cortana can also help keep everything in sync across your devices. In the past, this meant reminders, sports scores and other items, but she’s much smarter now. 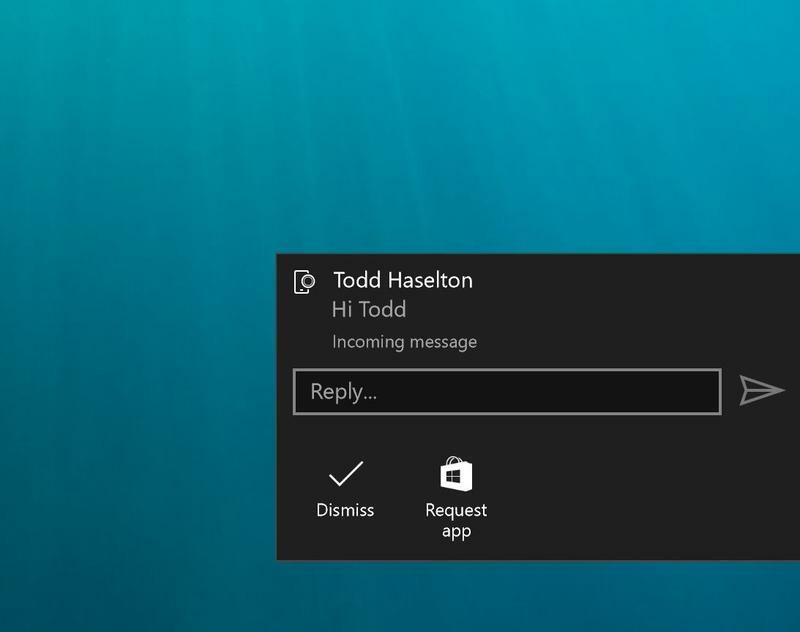 Install Cortana on your Android device, for example, and you’ll start to get text messages right on your Windows 10 Anniversary Update computer, too. This works for SMS in addition to other apps, like Facebook Messenger, and you can reply in-line right from the notification. In another situation, you might look for directions to a destination on your computer. Open Cortana on your phone, and you’ll see the directions right there. There’s no need to hit a send button, they’re just waiting for you, ready to go. Better yet, they’ll open up in your default Maps app on your phone, which is good news for folks who prefer Google Maps. Another neat option – and there are a ton – is the ability to save photos with reminders. Maybe you’re browsing Macy’s website ahead of visiting the retail store, for example. Take a screengrab of a shirt you want to buy, add it to Cortana reminders, and she’ll show you that image when you arrive at Macy’s after work. It’s awesome. 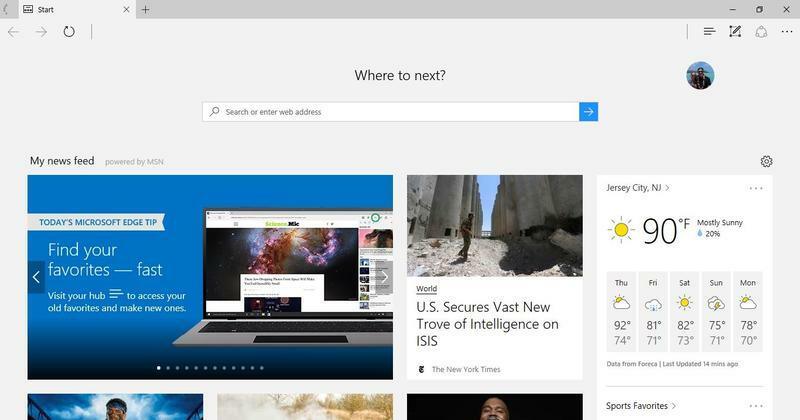 Microsoft made its internet browser, Microsoft Edge, another main focus of the Windows 10 Anniversary Update. The company finally added support for extensions, the little add-on software features that other browsers such as IE, Firefox and Chrome all support. Extensions are available in the Windows Store and, though the selection is pretty slim right now, you’ll find a few good ones to choose from, like Amazon Assistant and LastPass. I admit, given my reliance on Google’s software and services, Microsoft Edge hasn’t always been my go-to browser. But there’s a lot to like here. It’s fast, it saves power over Chrome (according to Microsoft) and it has new features like web notifications and favicons in the favorites bar that bring it more on a par with Google Chrome. Microsoft makes it even more powerful by adding biometric support, too, so you can use Windows Hello and a fingerprint reader or your built-in iris scanner to make purchases right from the Web browser, providing a website supports that function. The Windows 10 Anniversary update includes hundreds of new features (thousands, maybe), and I can’t possibly touch on all of them here. I’m a long-time Windows user and a big fan of Windows 10 – I run it on my PC every day. I’m looking forward to the Windows 10 Anniversary Update on August 2, when I’ll be able to get this up and running on all my PCs at home. If you’re getting ready to buy a new computer, I highly recommend buying one with a touchscreen and a stylus, since you’ll be able to take advantage of the full suite of features. And remember, upgrade to Windows 10 before July 29 or this update isn’t free. Nice job, Microsoft.